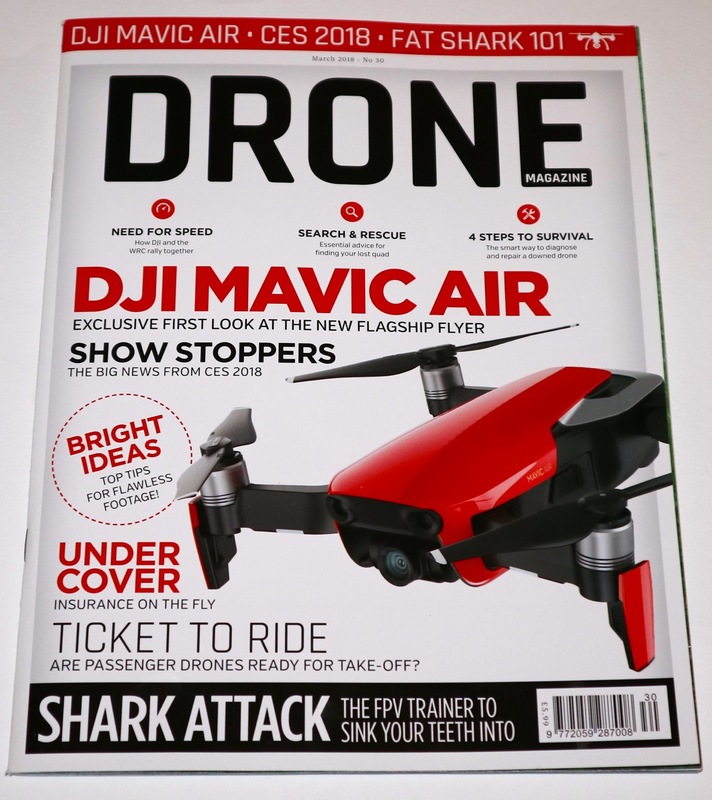 This was my first article for Drone Magazine, which I was very happy to be featured in as it’s a very high quality glossy magazine which is really nicely put together, and the fact that Painless360 already wrote regularly for them had put me off talking to them previously. But having done the Let’s Drone Out podcast for a little while at this time, my buddy Jack introduced me, via email, to the editor. So when coming up with an initial idea for writing about, I decided to pick something quite close to my heart – ways of not losing your drone. 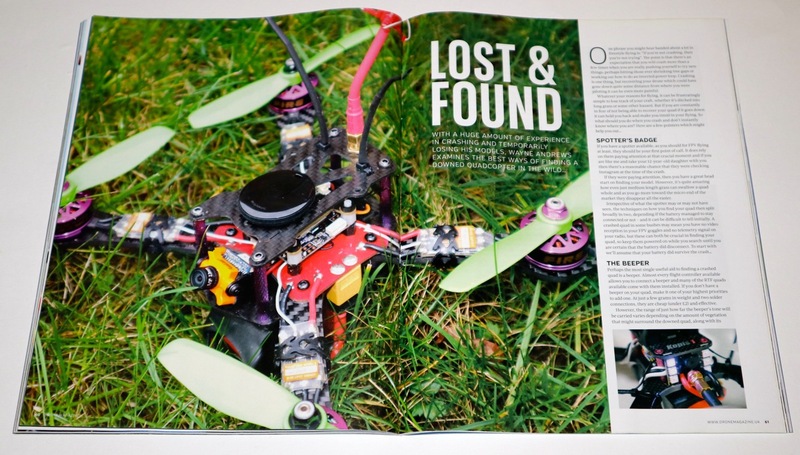 In the few months that has followed, there’s been quite an explosion in lost model finders, and I’ve made YouTube videos about most of them, but everything else in this article stays very true about ways of finding/recovering a crashed drone. One thin I love about Drone magazine, is that it always comes out better than I envisiged, both on the layout and with the editing. Changing my quite poor title of “How not to lose your quad” into “Lost & Found” with nicer subsection headings as well. One phrase I hear banded about a lot in freestyle flying is “if you’re not crashing, then you’re not trying”. There’s an expectation that you will crash when you are really pushing yourself to try new things perhaps hitting those ever shrinking tree gaps, or working out how to do an inverted power loop. But if you are constantly in fear of not being able to recover your quad if it goes down, it can hold you back and make you timid in your flying. So what should you do when you crash and don’t instantly know where you are ? If you have a spotter available, they should be your first point of call. It does rely on them paying attention at that crucial moment, and if you are like me and take your twelve year old daughter with you then there’s a reasonable chance that they were “just checking Instagram” at the time of the crash. If they were paying attention and saw it go down, then you have a great head start on finding your model. However, it’s quite amazing how just medium length grass can swallow a quad whole and as you go more toward the micro end of quads they disappear all the easier. Irrespective of what the spotter may or may not have seen, the techniques on how you find your quad then split broadly in two, depending if the battery managed to stay connected or not. It can be difficult to tell initially. 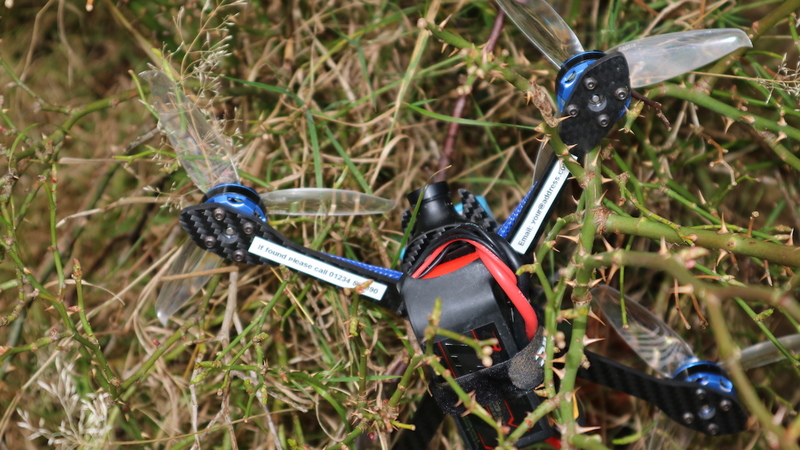 A crashed quad in some bushes may mean you have no video reception in your FPV goggles and no telemetry signal on your radio, but these can both be crucial in finding you quad, so keep them powered on while you search until you are certain that the battery did disconnect. Perhaps the most single useful aid to finding a crashed quad is a beeper. Almost every flight controller available allows you to connect a beeper, and many of the RTF quads available come with them installed. If you don’t have a beeper on your quad, make it your highest priority to add one. 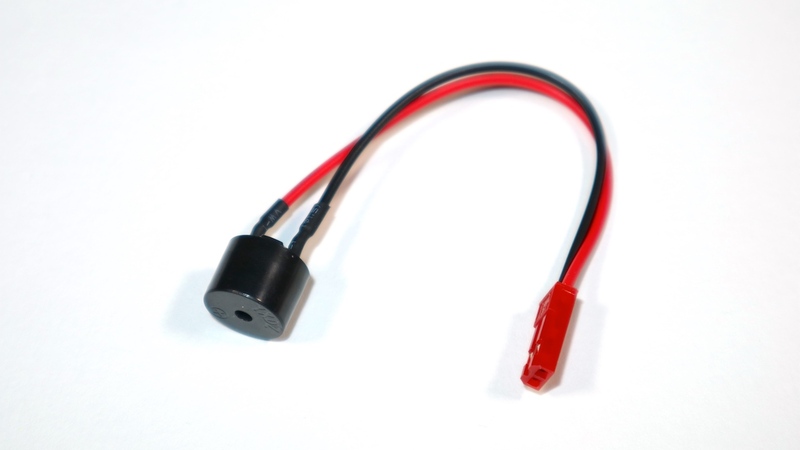 At just a few grams of weight, and two solder connections, they are cheap (under £2) and effective. However, the range of just how far the beepers tone will be carried varies depending on the amount of vegetation that might surround the downed quad, weather it’s upside down or not, and the wind direction and strength – so you might have to be relatively close to it before you can pin point the sound. CleanFlight and Betaflight allow you to setup a beeper mode on a switch on your radio, as well as configure it to beep on failsafe, but even an RTF quad, don’t assume these will work out of the box. Check you config and test both the beeper mode switch and failsafe before you fly. 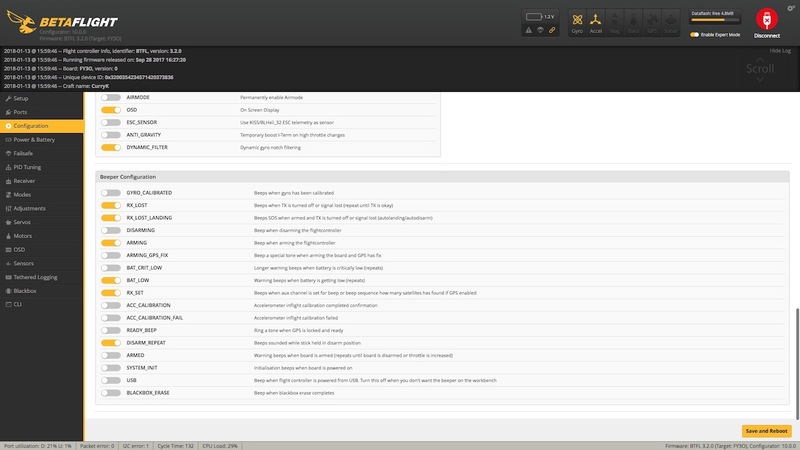 The is especially relevant to Betaflight 3.2 and above where ether Beeper Configuration now has it’s own section. Make sure RX_SET is enabled in this section, else the beeper mode switch won’t actually sound your beeper. Whether your radio has telemetry or not, using the video transmitter on your quad to pin down it’s location is an fantastic tool in your arsenal. 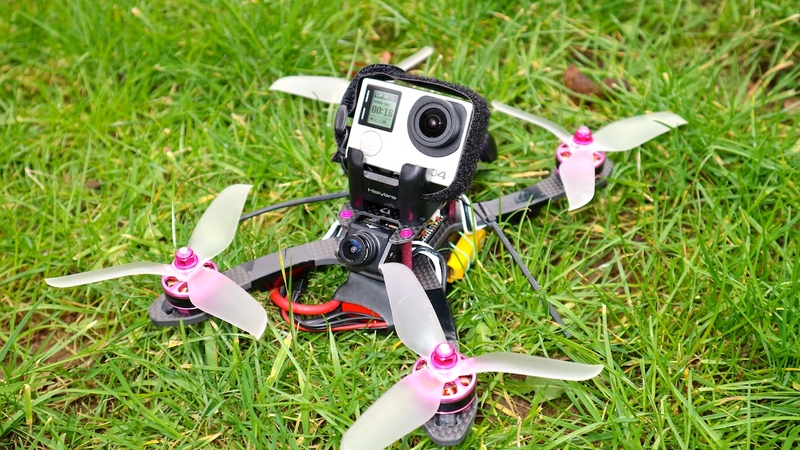 In it’s most basic form you can look at it as no signal/noisy video signal means your quad is further away than getting the signal back, or having it clear up. 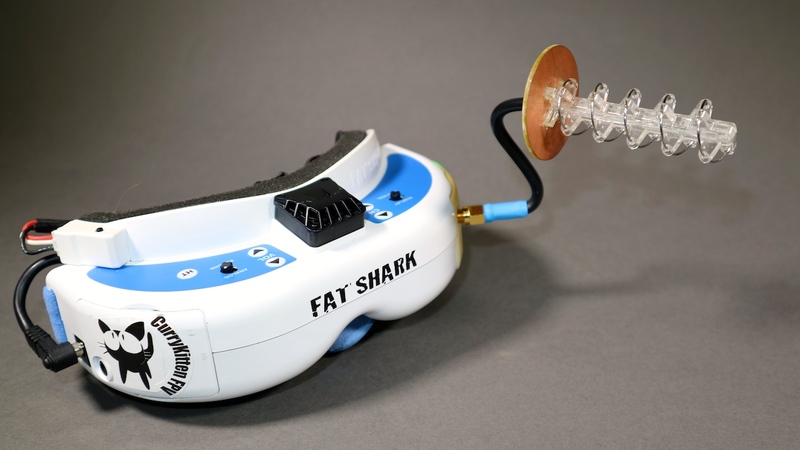 However, using a high-gain antenna turns your FPV goggles into a directional scanner. 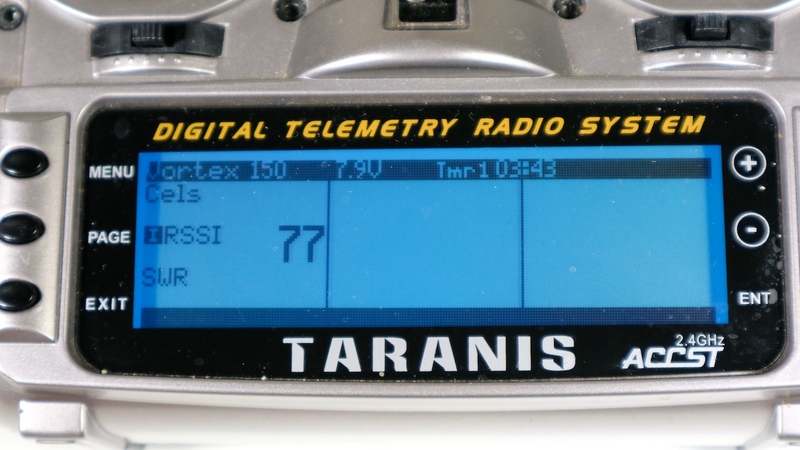 As the gain in the antennas increase; as is the case with helical and patch antennas, the necessity to point more accurately at the video transmitter increases. In other words, point the antenna at the quad and you’ll get a good signal, point it away and the signal will fall off quite quickly. In the field you can use this to quite accurately find the direction of the signal. Attach a directional antenna and then scan your head around like a human radar. If you have any signal available, you’ll see the strongest point and also be able to see if fall off either side. Walk in the direction where the signal is strongest. Once you are really close, you’ll stop seeing much of a fall off, but by this time you should be in the range to hear your beeper. As long as your battery stay plugged in, and you have at least a beeper onboard, you should find that recovering a crashed quad – even in the thickest undergrowth – reasonably simple. But what if the battery does disconnect – what then ? Just about everything we’ve discussed previously can no longer be used, we won’t have lights, a beeper, the telemetry signal, or any video. We will still have a spotter (hopefully), but depending on where you are flying, and of course where you are crashing. It can be difficult to find a quad even where you saw it go down. If you have an inbuilt DVR in your FPV goggles, get in the habit of using it every time. 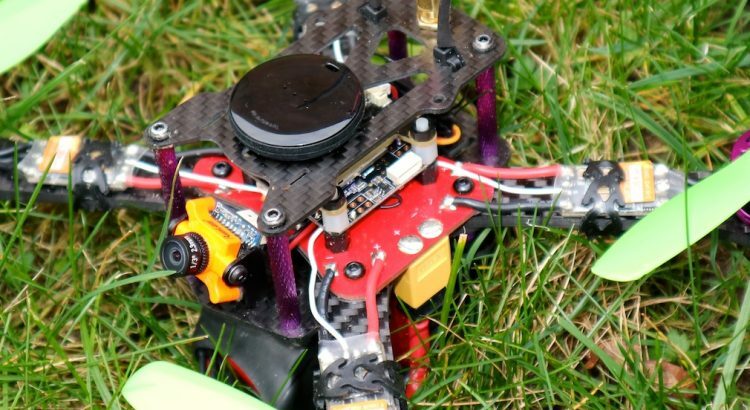 Even if you intention is to just have a quick hover, there’s any number of issues that could strike and leave your quad several hundred meters away in some trees. As well as recording all your flights, make sure you are familiar with the controls to then view them. The last thing you want to have to do is return home to put the SD card in a computer and review the footage. 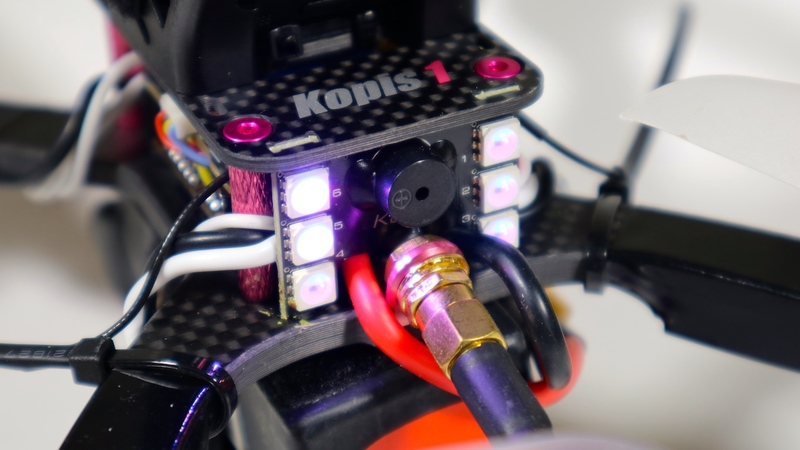 You want to be able to pull up your last flight, watch the footage back in your goggles and see exactly where you quad was before the video signal was lost and you just have static. 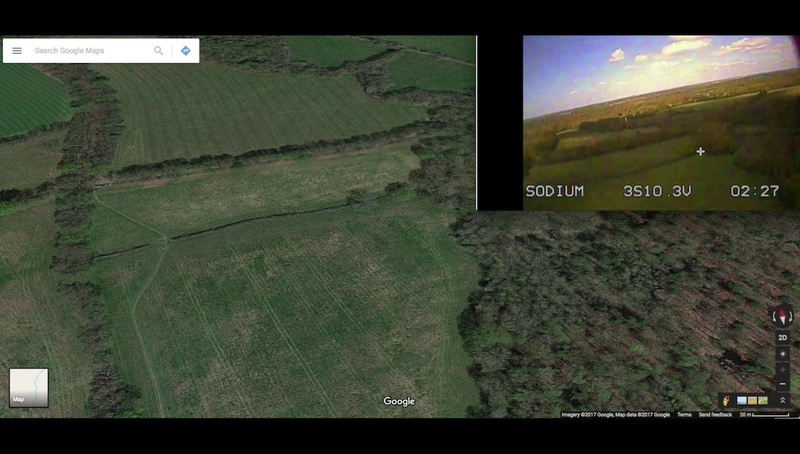 What you want to try and establish from this footage is where you were in relation to any landmarks – particularly distinctive trees, patches of different coloured grass, something you can easily locate in the field. Look at the direction you were flying and see if you can work out a likely trajectory and crash site based on this. You’d be surprised at what sort of insights you can get from watching this back, and it often turns out to be quite different than what you remember from your flight. So how can you mitigate the fear of a battery disconnect on a crash. I personally found I was holding back – subconsciously I would worry about trying more risky manoeuvres just in case of a crash in the wrong spot, but then I found a way to mitigate the issue. The beeper is a step up from what you’d normally use in a normal quad, I’ve heard the beeping from over 100m away and it makes it very easy to follow the noise and find the quad. Now, if you are the sort of person looking for holes in this, as I am, you might be asking yourself “What if it crashes in a tree in a windy day so the branch keeps moving and the DroneKeeper Mini thinks it’s still moving ?” Turns out that they’d already considered that. If, after 30 minutes, the DroneKeeper Mini is still powered on, it’ll start beeping anyway – whether it’s waving around in a tree or not. 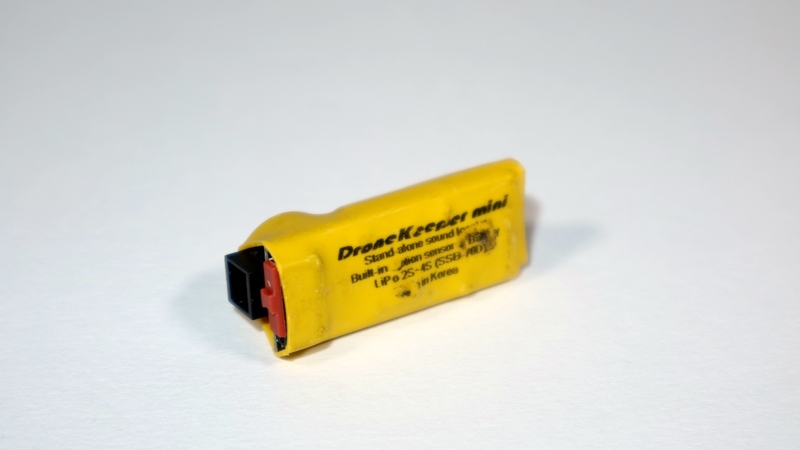 A fully charged battery on the DroneKeeper will beep for approximately 2.5 hours, which should hopefully be enough time to recover your quad. I’m a real convert to the DroneKeeper Mini, I simply attach it with a rubber band to the battery of every quad (larger than a micro) I fly. In the majority of my crashes, the battery doesn’t disconnect, but it’s a fantastic confidence boost knowing that you are going to get this loud beeping from the quad no matter what. I’ve talked, and recommended the DroneKeeper to many FPV pilots, and whilst most thought it was a great idea, there was a smaller subset of people that were concerned that a beeping quad could attract unwanted attention and result in their pride and joy being stolen. The idea of opportunistic drone-thrives lurking in the woods seemed like a bit of a strange concept to me, but if this is a concern for you then the quiet and alternative solution to the DroneKeeper Mini is the Loc8tor. 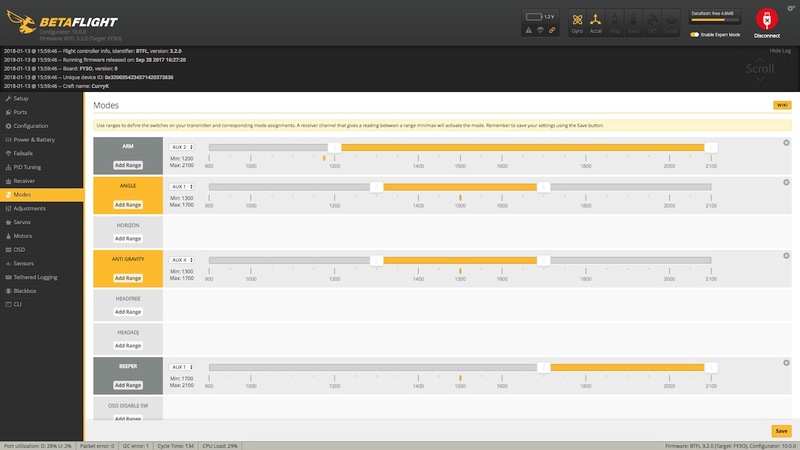 The Loc8tor system (https://loc8tor.co.uk/) comes in two parts. First is the tag, a small (6g) circular disc that you can fix onto your quad. This contains a CR2032 battery that should last upto a year. The second part is the handset, this is a small credit card sized device with 4 buttons and 6 LED. Each of the buttons can be paired to a tag (the system used 2.45Ghz frequency) When you want to find whatever the tag is attached to, power the handset on, and press the appropriate button to start. The handset is directional, so you hold it out flat in front of you and rotate around looking for the signal. The LEDs light up, and a beep sounds to show you how strong the signal is. You then simply walk towards the direction of the strongest signal, as you get closer the beeps increase their frequency and more LEDs light up. When you get very close, the tag itself will also beep, allowing you to pinpoint that final location. That’s the theory at least. 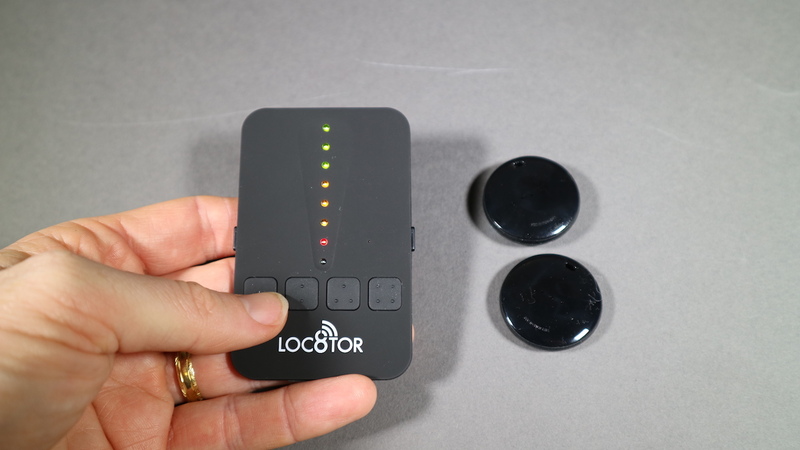 I’ve tested out the Loc8tor quite extensively, and found two weaknesses. Firstly, the range. It’s claimed to have 122m of range in clear line of sight, and this is true. In fact in my tests, I was able to get up to 150m. However, if you quad goes down in less than optimal conditions – thick undergrowth, a bush, upside down in long grass etc, then this range is cut dramatically to around 20-30m. If you have an idea of where you went down, it’s not the end of the world, but when you get your handset out to find your tag, only to be greeted with no signal, it can be quite discouraging. The other issue with the Loc8tor system is the quietness of the beep in the tags. The site and shape of the tags is great, and makes mounting them very easily, but this also means there’s no speaker to blast out the beep in the same way as the DorneKeeper Mini. On the plus side though, if you can’t find your crashed quad straight away, you do have weeks and months to keep wondering up and down with the handset until you find it. It happens, despite all our efforts and ways to not lose our models, sometimes they just disappear. So what then, aside from all the crying obviously. Sometimes it’s useful to take a step back and reassess your search. Go home and look back once again at your DVR footage. Pull up Google Earth on a computer and try and match up the flight and see if you can predict a crash zone. When you return to your predicted crash zone, walk it in several directions. It’s easy for things to stay hidden from one point of view that will easily be seen in another. It’s very rare for something to stay lost forever. Despite the fears of some of my fellow pilots about having their drone stolen the minute they fall out of the sky, I’ve found the great British public to generally always want to return quads and planes they’ve found. Often, they make considerable efforts attempting to find and return things they find – so make it easy for anything you fly to be returned to you. Put a label on it. I have stickers on all my models with an email address and a telephone number. While you may find that the odd person might want go with a “finders-keepers” idea (look on eBay for likely “found quad” auctions), you stand a whole lot more chance of getting your quad returned if somebody knowns who to return it to. I find it worthwhile to go one step further with my gear. In a big crash it’s not uncommon for your HD camera to get catapulted off the frame, and if you fly with a GoPro onboard, it may be worth more than the quad itself. You can of course label these as well, but I also add a read.me and a watchme.mov file to the SD card. In each of these I’ll have my email/phone number details so that people are able to return them. In all of these cases, prevention is always preferable but you shouldn’t that hold you back. By taking a few sensible steps to safeguard your pride and joy you should be able to gain that extra degree of confidence that if something does go wrong, you won’t be grounded for good – save a few new props, of course! Want to be notified when new content is published ?